For Dropbox, We must require secure lock Because of widely use on business, Professional and Personal use. So now we have a great option as a Two factor authentication on dropbox, that can Save or access all types of files from different device, around the world. Also dropbox widely use on mostly all types of app for daily backup and share/ save in secure shell. Same like Gmail, Facebook two factor authentication, we can use on dropbox. Start two-step login verification, must need guide. It’s simple and easy for all but some code scanning, automation on third party app require more help. Go through below step by step guide and enable two factor authentications on Dropbox. Step 1: Go to dropbox on Web. Step 2: From top right corner, click on Profile menu options > Settings. 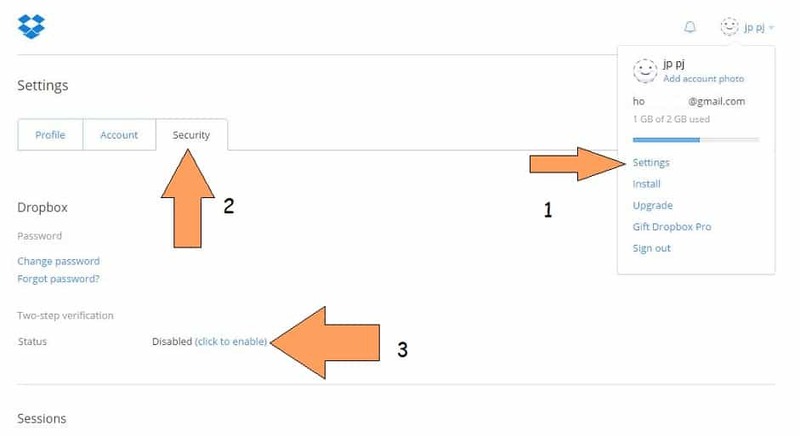 Step 3: Next, from top three tab Go with Security. Step 4: Then, under two-step verification, Click on “Click to enable” option. In return you will get authentication code on screen > Put in code box. 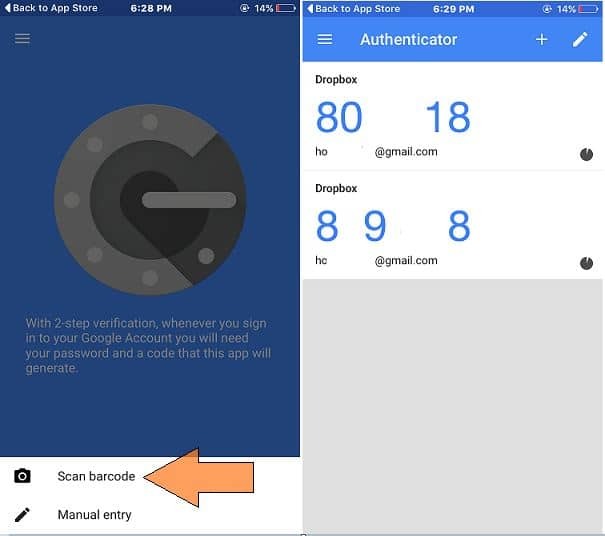 Step 6: Next time whenever you will login you need authentication code after Login ID and Password enter. Another way is using Text message only, just like Gmail 2 Step. For that select use Text Message in place on mobile app in step 5 > Enter your Mobile number > Verify 6 digit code comes in your Message box. Now upgrade Dropbox app comes with built in pass code option, so every time you protect your data on dropbox using four digit passcode. For turn on Go to the Settings > Passcode Lock > Turn Passcode on. Also Touch ID option available in improved security. After enable two factor authentication on Dropbox, Removal is very easy. Repeat same above steps and disable it.